Sharon Otieno was married in Awendo with two Children. Her husband sponsored her to pursue Diploma in Medical Records and Information at Rongo University. 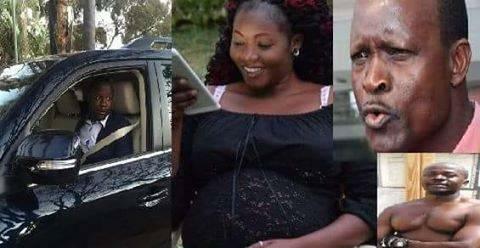 While at the university, Sharon was driven crazy by Dan Okoth Acholla , the son of Migori Governor, who spoiled her with money & Chewed her properly. Dan is a bulldog who has 8 children with different women including Susan Anyango who sued him in 2013. He planted the seeds here also. Nkt. Gov Obado, intercepted her when She accompanied Dan during the 2017 Campaigns. It was then when contacts were exchanged and chewing began with dry to wet spells by the anacodaed governor. From thereon, Sharon switched beds from the tooth-picked Dan to the crazy anaconda Governor sponsor. Michael Oyamo, the Gov PA was too close to Sharon as well. He used to pick and drop her at luxurious hotels to meet the Chewer. It is rumoured that Oyamo used the opportunity also to chew the late slayqueen on several occasions. Now, whose child was being carried? Obado’s, Dan’s, Oyamo’s Or The Husband Benard Oguta’s ? The puzzle which was hard to be answered. Maybe the Nation media reporter could clarify how she came in touch with her.